There are many Angels who are responsible for the Soul’s Journey as the physical body transitions from this life back into Spirit form. Yehudiah is the Angel who chose to make his presence known for these writings. The Angel Prince of Death and Transition, Yehudiah, is the Caretaker of Souls, accompanying all during their time of transition. Death is not always the death of the physical body. Death is about many things including, for example, transition from one set of beliefs to another more positive set of beliefs that support and empower you. Yehudiah will guide you each step of the way to all that awaits you, all that is yours by Divine Birthright. You only have to ask. This Angel is a master of co-creating with you as you rise from the ashes of purification and transformation. The person you are right now in this moment got you to where you are. This same person will not — I repeat will not — get you to then next level in your life or work. You will travel or journey through many transitions on your way to realizing your dreams, living your Purpose full-out. The Terrie Marie who is channeling or streaming the information contained within these pages is not, in anyway, the same person who consciously re-connected with her own Angels in 2004. The person I am now, in this moment, will no longer exist once we finish channeling all that Yehudiah chooses to share through me. The process of death and transition is an inside job. There is no permanent change on the outside without the necessary renewal and regeneration on the inside. Even as the Soul chooses death, there is an inner-decision or process that first begins within. Whatever the cause, intention or outcome, there must be a Death before Transition can begin. About Angel Lady Terrie Marie, D.Ms. 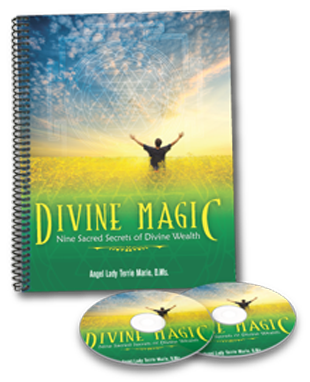 Terrie Marie, D.Ms, also known as the Angel Whisperer, has an Unusual and Highly Effective way of showing Heart Centered Men and Women how to show up more powerfully in their life, work, and business when they access their Ultimate Angel Dream Team! 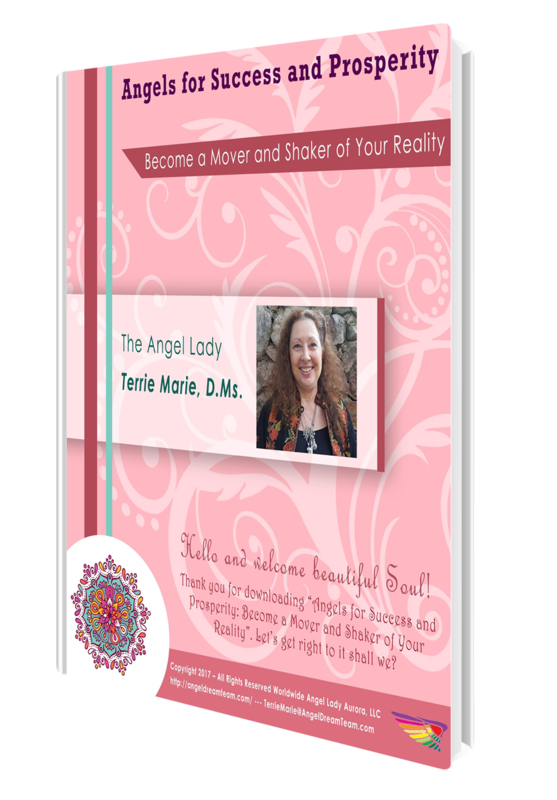 Angel Lady, Terrie Marie specializes in showing her amazing clients how to directly access and receive Divine Guidance through their Higher-Self and Angels. Raise your inner vibration, your Divine Wealth Frequency, change thought patterns, enhance the Law of Attraction and magnify your manifesting power. Discover and explore practical, easy-to-use techniques, tips and tools to increase prosperity and abundance, with more harmony and less stress. Discover to trust your intuition and gut feelings with a heightened sense of empowerment and confidence. Her subtle, powerful insights create life-changing transformations from the inside out. Terrie Marie has helped amazing men and women in Australia, South Africa, Germany, Canada, United Kingdom, Mexico, Brazil, Belgium New Zealand, and the United States. Terrie Marie, D.Ms. has the unique ability to connect and communicate with Angels which makes her a highly sought after Angel Mentor and Angel Whisper.